Comfort, luxury and refinement. When Toyota introduced Lexus as its luxury brand back in 1989, these three words clearly defined the Lexus brand. The 1990 Lexus LS featured an ultra-smooth V8 engine, plush ride and a well-appointed interior that featured technology that rivaled the best European offerings at the time. Through the 90s and arguably into the 2000s, Lexus not only became synonymous with comfort and refinement, but also a lack of sportiness, feeling and exhilaration. 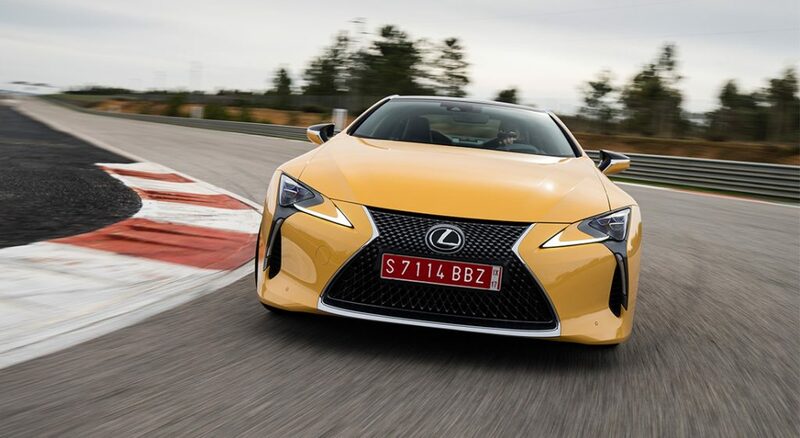 In 2006, realizing this deficiency in its product line, Lexus headed back to the drawing board and claimed its own high-performance letter, F. Following its first attempt at a high performance sedan, the IS F, Lexus went all-out with its LFA supercar and currently offers two F performance models in its lineup, the RC F coupe and GS F sedan. Now, Lexus has taken its redefined DNA, applied it to its LF-LC concept and produced its next generation halo car, the Lexus LC. 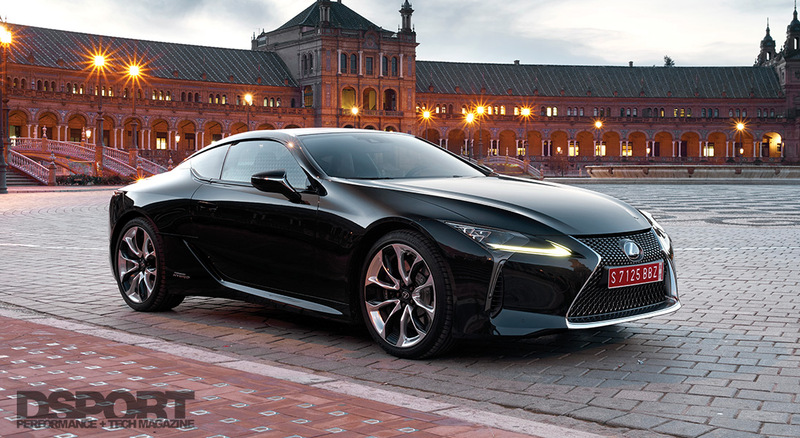 When the Lexus LF-LC (Lexus Future, Luxury Coupe) concept debuted nearly five years ago in Detroit, the reception that Lexus received was staggering. Designed by Calty in Newport Beach, California, the LF-LC’s captivating exterior and futuristic, driver-centric interior exposed a new, exciting vision for Lexus. However, Lexus had no plans to take the LF-LC to production. Not only did the mainstream media eagerly want Lexus to build it, the naysayers didn’t believe that Lexus would, or even could, build it. 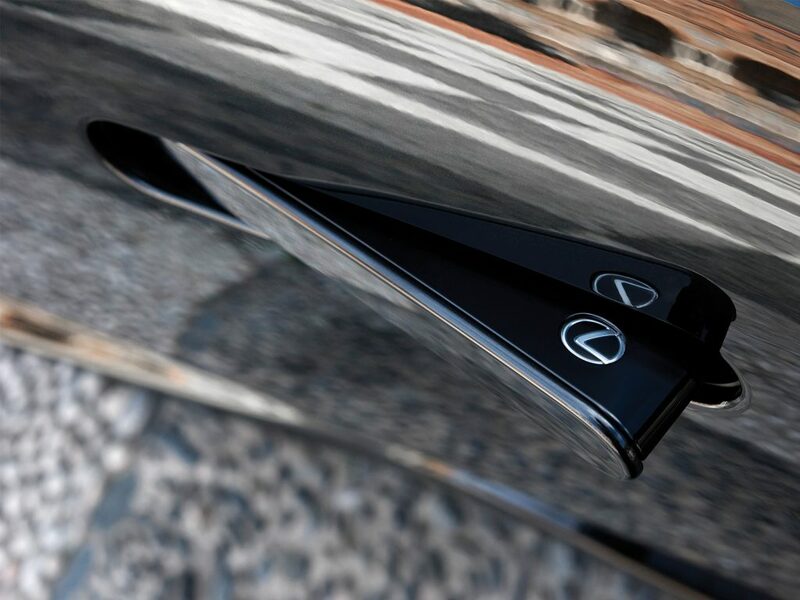 From its beautifully slim profile to its wide-and-low aesthetic, the LF-LC marked a monumental shift in Lexus ethos. 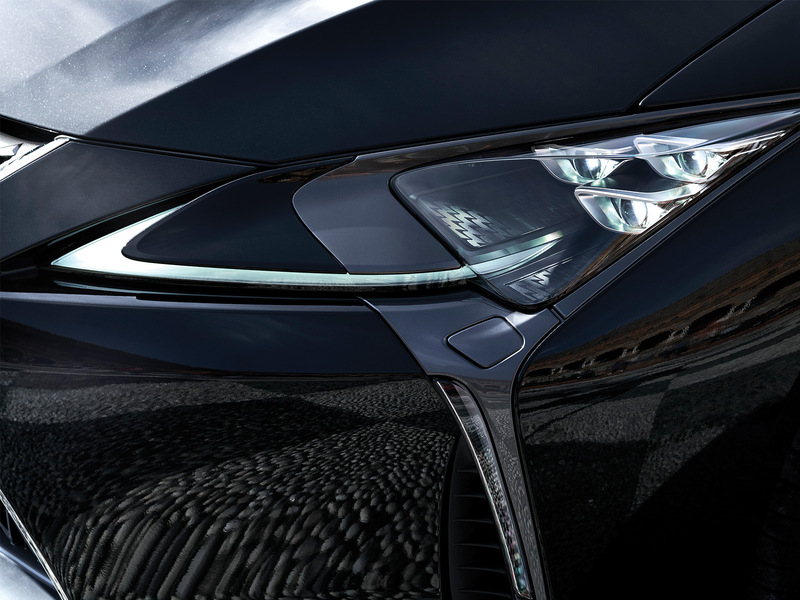 With the Lexus brand on the brink of boring and such a positive response to the LF-LC, Mr. Akio Toyoda, President & CEO of Toyota Motor Corporation, knew that the LF-LC was an opportunity to invigorate the Lexus brand. Certain materials were selected to be used in specific areas of the LC’s architecture to minimize weight while enhancing structural rigidity. 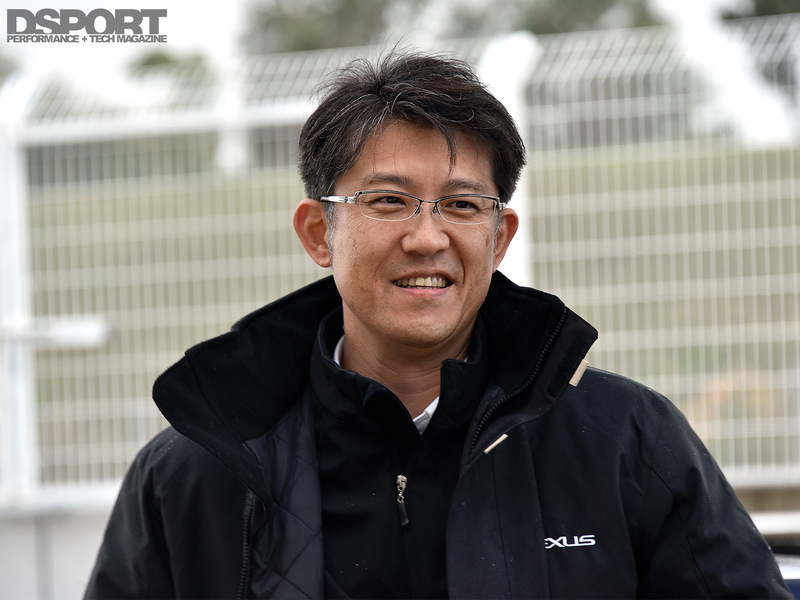 At the helm of this project is Chief Engineer for the LC, Koji Sato. Previously a chassis engineer at Toyota, Sato-san took on the task to engineer the next generation FR platform that will underpin all future front-engine, rear-wheel-drive Lexus vehicles. 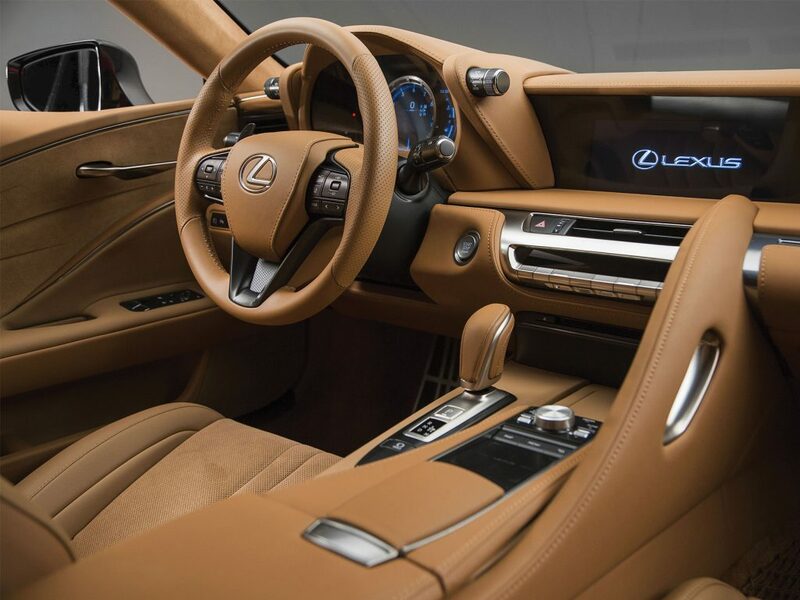 The first vehicle to utilize this Global Architecture – Luxury (GA-L) platform is the LC coupe. 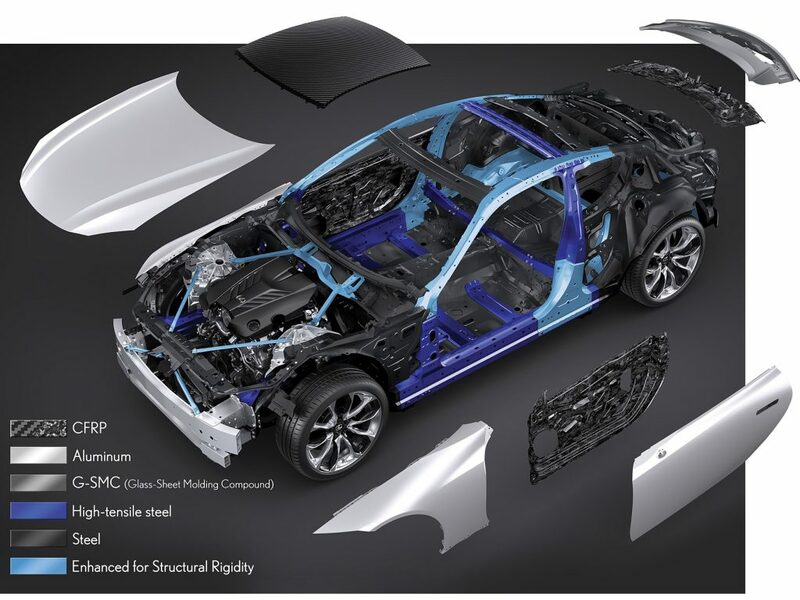 Fundamentally a front midship platform, the GA-L architecture is very similar to what Nissan did in the early 2000s with the 350Z/G35 and its FM platform. By moving the engine behind the front wheels, Lexus improved the weight distribution of the vehicle while also enabling a lower, sleeker bodyline that wouldn’t otherwise be possible. Built using a combination of high-strength steel, aluminum and carbon fiber, the LC’s chassis exceeds the rigidity of the LFA. The use of bracing in areas that would ordinarily utilize sheet metal panels allowed designers to keep most of the LF-LC’s original design aesthetic without compromising key body lines. Despite the use of lightweight materials in non-structural areas of the vehicle, the LC’s curb weight comes in close to 4,300 pounds. If opting for the hybrid version, the scale tips closer to the 4,400 mark and trunk space is reduced. 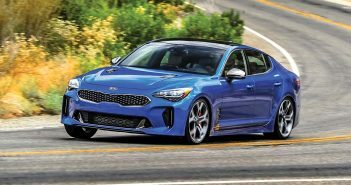 Those aren’t numbers we like to hear, especially with a naturally aspirated V8 engine that produces shy of 500 horsepower. Under the hood, the LC500 features a slightly massaged version of the 2UR-GSE 5.0-liter V8 engine from the current RC F and GS F models. This translates to an estimated 471 horsepower and 398 ft-lbs. of torque. 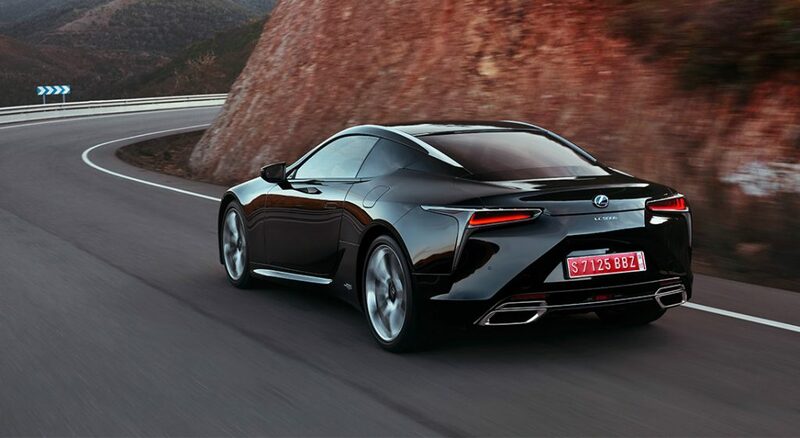 If you were to ask us, it’s no contest between the LC500’s V8 and the V6 hybrid that powers the LC500h. While some may argue that the hybrid has quicker throttle response, it simply doesn’t sing like the eight cylinder. In addition, we can’t get behind the artificial engine sounds that the 500h creates when switching between Normal/Eco and Sport S/Sport S+ modes. It just doesn’t feel right. 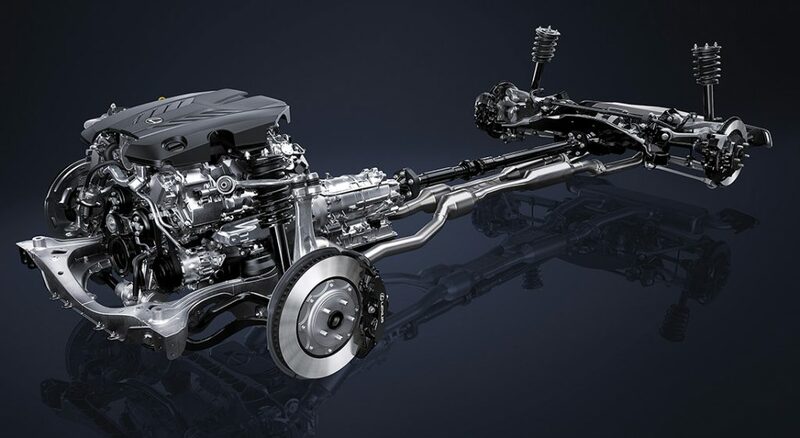 Taking the V8’s power and transferring it to the rear wheels is Lexus’ latest ten-speed transmission. Lexus claims that this Aisin-built, single-clutch automatic transmission blips gears as quickly as many of the dual clutch transmissions on the market. Behind the wheel, shifts via the magnesium paddles do feel very quick. In addition, this transmission will continuously hold the gear selected in manual mode until the driver selects the next gear change. Drivetrain engineers built the transmission to deliver a “rhythmic” shifting experience that keeps the vehicle in each gear for the same amount of time when the car is floored. Although we think most enthusiasts would still prefer a dual clutch unit, we had no qualms when it came to the V8’s automatic. Unfortunately, the hybrid version receives an overly complicated four-speed automatic that, paired with a CVT unit, multiplies the first three real gears effectively three times. This system drums up nine virtual gear ratios, with the fourth real ratio acting as an overdrive to deliver a total of ten “ratios” in manual mode. While this transmission may suffice for city driving to maximize miles-per-gallon, rapid up-and-down shifts left the transmission computer thinking for longer than we’d like when the LC500h was pushed around the track. Perhaps a software update will remedy this issue on production models. 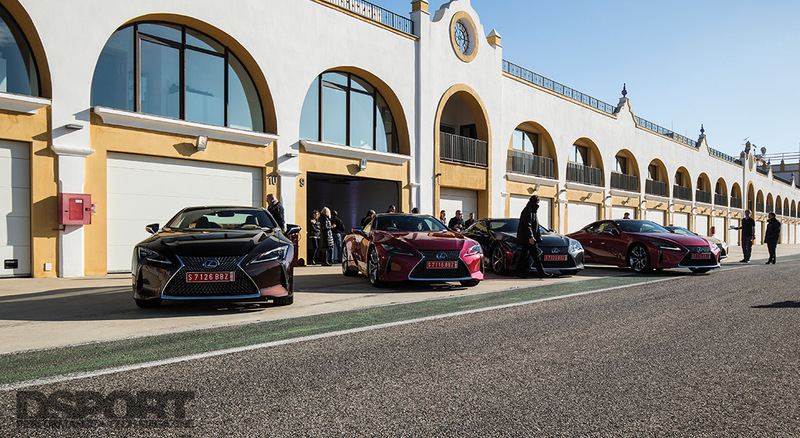 We were fortunate enough to experience the LC both on and off the track in Seville, Spain. Riding first as a passenger in the LC to the track, I was pleasantly surprised with the level of ride comfort. Having sat in the back of an IS F for an extended period of time, I can tell you with certainty that the suspension in that car showed no mercy to my back. 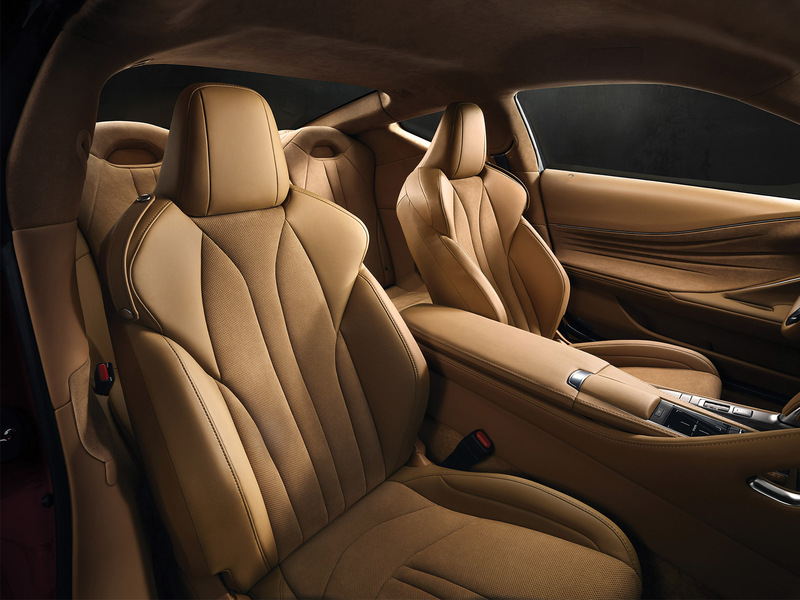 Furthermore, the interior of the LC500 features copious amounts of stitched leather and Alcantara throughout the cabin. Lexus offers the LC with both a standard and sport seat that both feature minimal adjustment yet enough support that my back and bottom didn’t complain. Despite being clearly under-powered on paper, the LC500 felt quite balanced on track at Circuito Monteblanco, about 20 miles west of Seville, Spain. 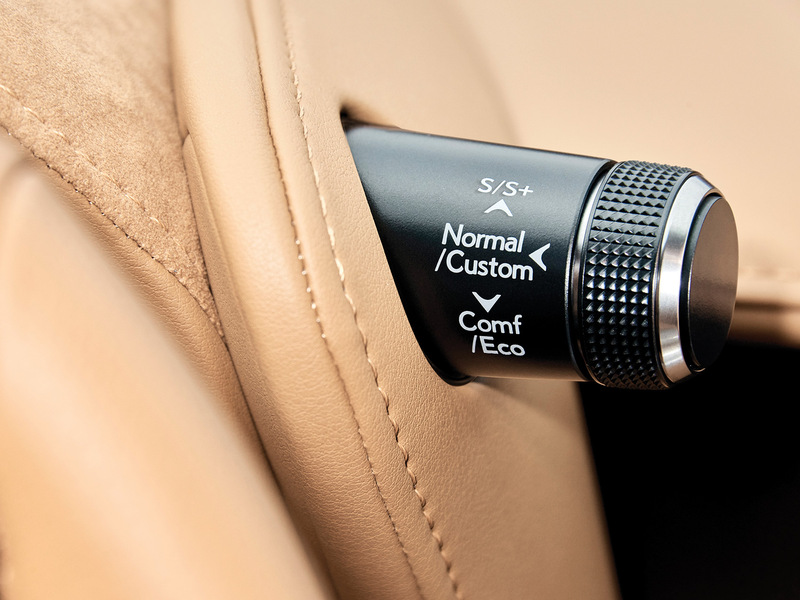 In Sport S+ mode, the LC500’s steering felt direct and responsive. Since we weren’t allowed to turn the traction control off on our test vehicles, the LC500 didn’t have a chance at breaking the rear tires loose on the tight circuit. In fact, the LC500 felt better suited to the back roads of southern Spain. After hot lapping the car at the track, we took our sport-package equipped LC500 for a 160 kilometer run through the canyons west of Seville. With the windows down, pedal to the floor and no traffic in sight, we enjoyed the V8’s roar. As a pure track toy, the LC500 doesn’t make much sense. 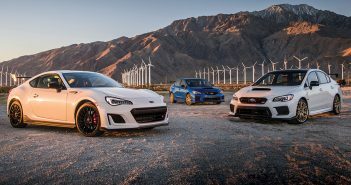 But as a grand tourer to take up to the canyons on the weekend? Absolutely. The response we’ve had regarding the LC500 ranges from an underpowered, overweight coupe to “What’s the difference between this and the RC F?”. Let’s set the record straight first. The LC500 is not an F performance model. Although it shares the 2UR-GSE engine with the RC F and GS F, the LC500 as a package isn’t designed solely for performance. However, we’ve spent a fair bit of time speculating what we believe the LC F will entail and what approach we would take to make it a hit. Given the current physical space limitations of the LC chassis with its V8 squeezed between the strut towers, we don’t believe that Lexus will turbocharge the LC F. Put simply, the space between the exhaust ports on the cylinder heads and the strut towers makes it tough to believe that Lexus will shimmy in a turbocharging system similar to that of the R35 GT-R. In fact, there’s actually a few signs that point to the LC chassis taking on Lexus’ first hybrid F performance powertrain. First, Lexus and Toyota are synonymous with hybrid powertrains (a la Prius, all Lexus h models and such). Secondly, our friends at äpr Performance in Japan have campaigned a hybrid-powered Prius racecar in the GT300 series of Super GT. Just as many elements of the LFA have trickled down into the LC and other models within the Lexus lineup, we believe that some of the motorsports learnings will find its way to the production line via the LC F. Lastly, the number of hypercars currently utilizing hybrid powertrains is staggering. While in another class entirely, the Porsche 918, McLaren P1 and Ferrari LaFerrari all utilize a hybrid powertrain. This push for instant throttle response via electric assisted power makes sense for Lexus’ performance version of the LC. However, the already-heavy LC will need to go on a serious diet if it plans to compete with BMW M or Mercedes AMG models in its category. 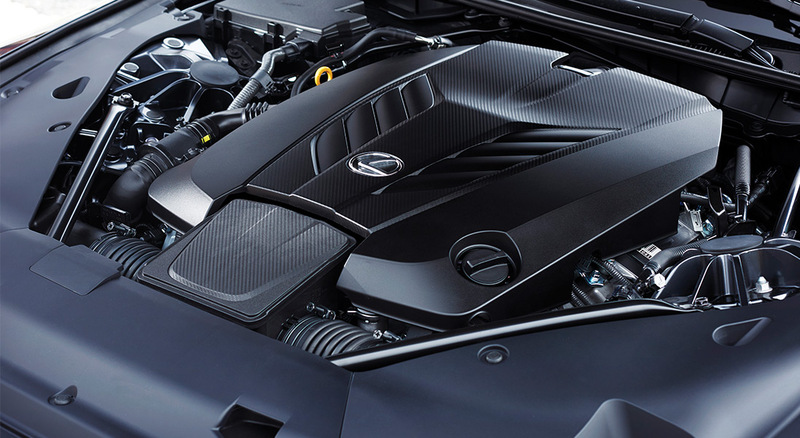 The LC500’s engine bay leaves little room for anything more than the 2UR-GSE power plant and its components. Despite the lack of space for forced induction, we do see potential in the LC F performance model taking advantage of a hybrid powertrain. Given the space constraints of the LC chassis and our demonstration of a higher displacement engine with the Club DSPORT 5.6-liter engine, we believe that Lexus will be able to safely extract more power from the 2UR-GSE without compromising reliability. As bulletproof as the bottom end is, Lexus’ close relationship with Yamaha will likely translate into an even higher-flowing cylinder head and intake/exhaust combination. At its core, the LC demonstrates Lexus’ ability to take a concept and bring it to production without compromising the spirit of the original concept car. While the LC may leave internet know-it-alls arguing about its power output or questioning its aesthetics, we challenge DSPORT readers to experience the vehicle in person. 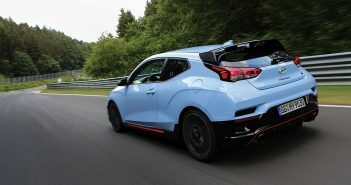 The purpose of the LC isn’t about turning the quickest lap time or offering the most brutal, in-your-face driving experience. In fact, it’s about combining the soul of an LFA, the heart of an RCF and the design of the LF-LC wrapped into one cohesive package that works. Lexus’ LC coupe marks its commitment to “No More Boring” Lexus’, and what can we say? We really like it.